Yellowing of teeth can happen because of many reasons and is not always related to lack of hygiene. But it doesn't really matter because no one likes the sight of yellow or dirty teeth. It affects your confidence level and may make you feel awkward while meeting new people. But it does`n need to be that way. Because of modern technology and advancement in the medicinal sciences, it is possible to whiten your teeth with minimum to no effect on your teeth. Over the years, the process has become quicker and affordable for everyone. Do not suffer the problem of yellow or ugly teeth. Have shiny white teeth today. 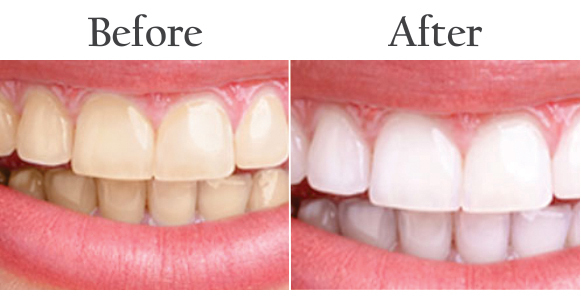 We have teeth whitening solutions for people of all ages. We use both laser and traditional methods based on your condition and budget. Our experts suggest the best procedure for you after analyzing your condition. Don't wait and get those pearly whites today.